Next year will mark the 30th anniversary of the design of the Omega Constellation Manhattan. Created by Carol Didisheim, the Manhattan was first released in its quartz version in 1982. In various Omega publications, fleeting references are made to Carol Didishiem having based her design on an "idea" by Pierre-Andre Aellen, but what idea? And how did this iconic design come to be? Well, that's what I set out to discover over a twelve-month period of sleuthing that ultimately led me to discover Pierre-Andre had perished in the Swissair crash over Nova Scotia in 1998, and Carol living happily under her married name in La Chaux-de-Fonds. As far as I know, the story on how the Manhattan came to be has never been told. Click here for part 1 of a series of two essays on its conception, design, and collectibility. Thanks Desmond for presenting an article on this model. I bought a Manhattan new in Switzerland in 1982. It was my first Connie but second Omega. I now have a cal. 564 and 501 and a total of 9 Omegas now. Yes, Part Two is listed under Constellation Manhattan Review. Sounds like you have a decent collection there! Sorry,I realized that after I made my post! In fact I had read both articles in the past and never put them together. Thank You, my collection is coming on, 28 in all. Favourites beside my Connies are Speedmaster, I finally got one last year after wanting one since I was 16 and IWC pilot chrono. I also collect vintage Tissot and Nivada. I have sent you pics of my other Connies in the past, I have just received the correct (I think) crown for my 501 from Otto Frei and after a visit to Shane Ede, I will send you a pic of it. Happy with Shane? He sounds an excellent bloke and a jazz fan to boot! 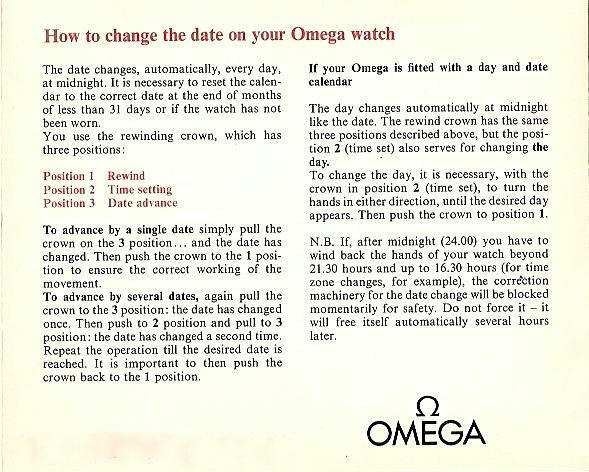 Dear Desmond, I am looking to buy a used Omega Constellation men's automatic circa 1990s. The seller says the bezel with Roman numerals is white gold. 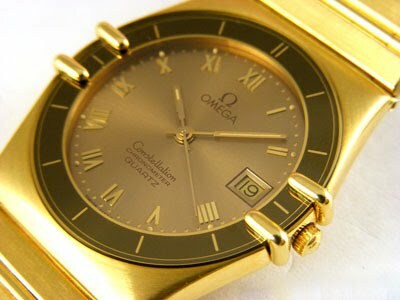 Did Omega ever make the Constellation of this era in white gold bezel or could it be silver? I appreciate your thoughts. Thank you, Peter. I'm assuming you are interested in a Manhattan style Constellation. Earlier stainless steel Constellations with white gold hands and markers certainly did have a white gold bezel, however I do not think the Roman numeralled Manhattan bezel is white gold, rather stainless steel. Thank you so much for your reply. I have seen some Constellation roman numeralled bezels that look obviously stainless steel in that brushed steely gray look. This roman numeralled bezel has the sheen and whiteness of white gold. Could it be rhodium plated? If you have a public email I would like to send you a photo? It's possible it is rhodium plated. It this an earlier model that still has the operative claws. For pic just click on the About Me link on the RH column. Desmond, I have taken a photo of the actual watch. The claw is not operative and the model I believe is from 1986. Where is the "About Me link on the RH column"? Its changed to "View my complete profile".